Walter Belford did not appear on the Titanic's crew lists. 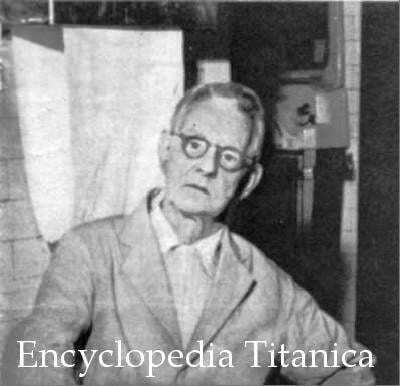 In fact, he never was a Titanic crewman, he just told Walter Lord he was, and became famous as a "fake" Titanic survivor. At the time when this picture was published in Switzerland, in September 1956, he was employed as a caretaker at the facilities of New York's Tiptoe Inn, on 86th Street. The 86 year old man told the reporter that as a "survivor" he was a guest on any White Star-Cunard liner and he then was able to visit his family in Glasgow. His testimony is rather interesting.